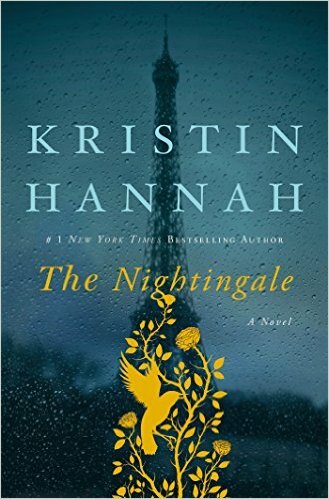 I just finished listening to the Audiobook of The Nightingale by Kristin Hannah, read by Polly Stone, whose French accents (and American for that matter) are fun to hear. It is beautifully written and a wonderful story about two sisters during the French resistance to German occupation in the 1940s. One moment caught my attention, though. Vianne’s daughter, Sophie is sick with a fever. The German officer billeted in their home saves her with antibiotics. Yet few were available in 1940. The forerunner of the modern sulfa drugs (Septra, Bactrim, etc) had been developed only 5 years before, and American soldiers were given the drug to carry with them later in the war. It’s possible Vianne’s German officer (he’s not MY officer, she would say) had some as well. But the real reason this line caught my attention was the experience of my mentor in WWII. J.S. ‘Nik’ Gravenstein, MD (1925-2009) was orphaned as a teenager in Germany during the war. His half brother helped him become a medic in the German navy, despite his age. At work in a Belgian hospital at the end of the war, he observed Americans coming in with a “wonder drug” called penicillin. At that time, soldiers with penetrating chest wounds were treated only with morphine, as they died of infection. These Americans treated them with a single unit of penicillin (we now use at least 1 MILLION units per dose), and they were cured! He considered it nothing short of a miracle at the time, and it contributed to his subsequent career as a physician – in fact one of the foremost anesthesiologists in the world. I was incredibly blessed to have him as a mentor. For his 80th birthday I created a video of his life. This entry was posted in Uncategorized on September 17, 2016 by teuliano. Yes, it was new in our town in the Midwest in the early 50s when they used it on my brother’s very serious kidney infection. In fact, we were never sure it cured the infection because he got shot after shot and got sicker and sicker. Then one day, he was better. Maybe the infection cleared up for other reasons.